Lunar lighting in a reef tank, also known as moon lighting is a really cool addition. These lights are usually LED lights mostly in blue, but also in white. We purchased two of the True Lumen blue LED light strips and placed them side by side along the center of the canopy. 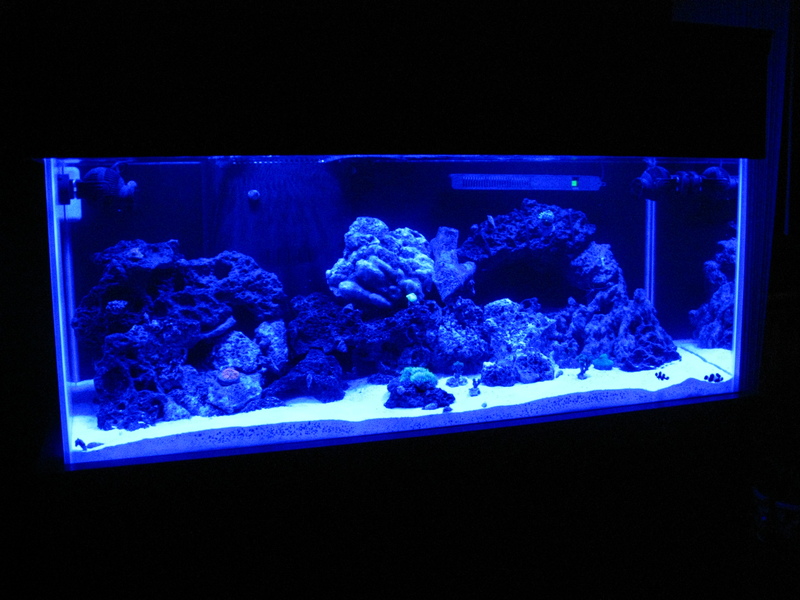 The main reason aquarists purchase these lights is for aesthetics, as there are many corals with fluorescing abilities that can be observed at night. The effect is a stunning array of colors to create an amazingly beautiful landscape. The picture below does not do it justice, but gives you an idea of the kind of lighting that is seen. A more practical use is a way to watch the nocturnal creatures that come out and play after the day-time lighting has turned off. And lastly, and most technical, is that these lights can be used to mimic the moon’s lunar cycle. They can be set up to come on before and after the day-time aquarium lights turn on and off to replicate dawn and dusk. 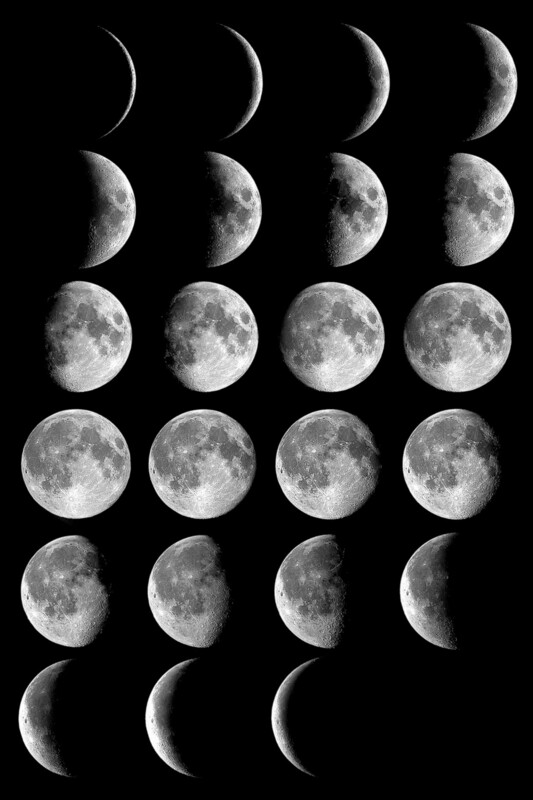 Or, to get even more specific, a computer system can be used to replicate the moon’s lunar cycle, which is 29.5 days of changing lunar intensity. 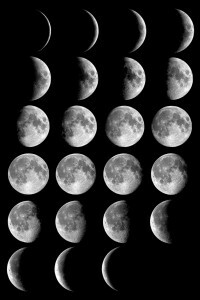 We have our lunar lights set to come on roughly an hour before and after our T5’s turn on and off. These lights have been a great purchase for our tank, but cause us to spend even more time observing our tank than we already do. I’m sure out next tank will be even bigger, and take the place of our television. This entry was posted in Informational and tagged aquarium, fluorescent, lunar light, moon light. Bookmark the permalink.